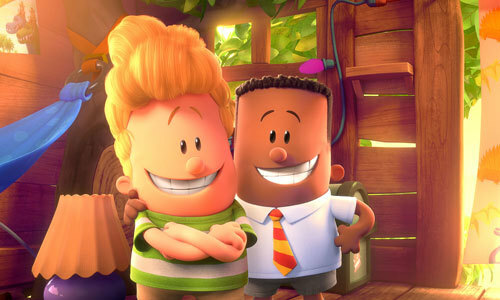 In Captain Underpants: The First Epic Movie, George Beard (voice of Kevin Hart) and Harold Hutchins (Thomas Middleditch) are two really imaginative pranksters who spend hours in a treehouse creating comic books. When their mean principal threatens to separate them into different classes, the mischievous boys accidentally hypnotize him into thinking that he's a ridiculously enthusiastic, incredibly dimwitted superhero named Captain Underpants. 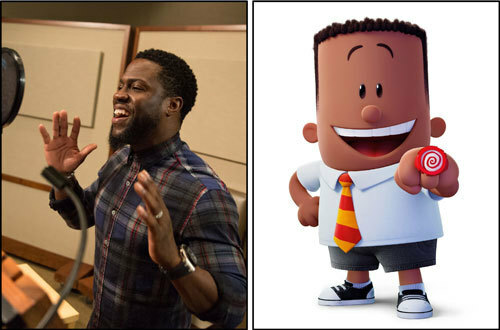 Actor Kevin Hart often appears in comedy action films like Ride Along and Central Intelligence but he was the voice of Snowball the rabbit in The Secret Life of Pets as well. The actor told press about his own prank-filled life in school, a special childhood friendship and he gives advice to kids and teens who want to follow their dreams. Check it out! Q: You saw a very early cut of the film. Do you think adding your voice saved it? Kevin: I remember watching it and being like “More Kevin”. I said that and we fixed that. I tried to change the name to “Kevin Underpants” but nobody else bought it. Q: That was originally going to be your stage name? Q: This film comes out the same Friday as Wonder Woman. Are you worried about that? 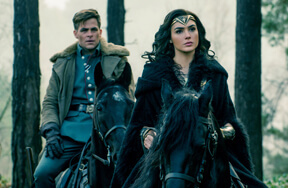 Kevin: There is no following behind Wonder Woman. It’ll be fine. Q: Yeah, right. How much like your character George were you in 4th grade? Kevin: You pull from the things you do in life and yes, as a kid I was a prankster. I was pretty much always in trouble because I didn’t want to stop laughing. I loved laughing in school and making other people laugh and, in school that’s the worst thing you can do in the class is be the funny guy because then nobody is focusing. Everybody is passing around letters or pulling chairs from underneath the teacher… or was that just me? But, I really was very much like my character and I think that’s cool. I loved the relationship the characters had because in school, the close friends you have are very important; that friend that you open up to, that you are talking to on a different level on a day to day basis. You’re confiding at a young age. That’s dope to me. I think that’s something kids can relate to. They are going to pull away from this film saying “I get that. I lived that. I am that”. Q: There is the friendship of George and Harold at the center of the film and Kevin, you had said you had sort of a George in your life. Can you talk about that? Is he still in your life? Kevin: No. I’m the guy who makes it and stops talking to people. Let’s just clear that up. No, I had a friend named Kylo when I was coming up and you couldn’t separate us. He was my right-hand guy and till this day, when I go back to Philadelphia, he comes out to shows and supports and we speak but we’re not as close as we used to be. But, at school, I wasn’t in trouble without him. He wasn’t in trouble without me. It’s amazing when you get in trouble with somebody all the time because it’s hard to punish two people on the same level. We were very good kids. We just liked to have fun. We were very much fun pranksters though. Our trouble wasn’t malicious. It was just (passing) notes and doing mean stuff to girls that you liked sometimes. That was real big, if I liked a girl and she didn’t like me back that meant we’re gonna pull your chair out from under you. All cool stuff. Q: Was finding the George voice hard? Kevin: Kind of difficult. I have a very deep voice so to find that inner child was tough. I’ve been doing action comedies for a long time. Q:The title says “The First Epic Adventure” so will there be more of these? Kevin: We would love this to go on. It’s an actor’s dream to be a part of any animation franchise that can live on. 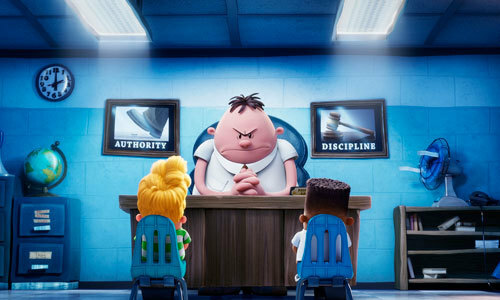 Everything is set up perfectly so we’re hoping people go out and respond to the movie but the following that “Captain Underpants” has is huge so the movie potential could be endless but it’s a business so let’s hope people respond and show up at the box office. Q: You do a little singing in the movie. Were you into that? Kevin: I was actually really uncomfortable with the singing. “Are you sure?” “Yeah, it’s going to be great”. I don’t think you understand, I just don’t do it. This is where the character falls apart. Q: The film is about being true to yourself and having faith despite the odds. As an actor/comedian, can you talk about rising above all the “no’s” in your career to keep going? Kevin: When you look at success, you look at the people who get to a “successful position” in life, those are people who became comfortable with the word “no”. People who aren’t comfortable with the word “no” and allow themselves to turn around or backpedal from whatever their dreams or goals were, because the word “no” keeps getting thrown at you, those are the people that, nine times out of ten, don’t make it. The people that do survive are the ones who can shrug it off and that let it roll off their backs because they understand that eventually that word “yes” is going to come and when it does come, I’m gonna be prepared for what’s after it because there should be a mountain of “yeses” to make up for the mountain of “no’s” I’ve gotten past. Ultimately the strong survive and the weak don’t. For me it’s that simple so my advice is to stay true to your dreams regardless of what you’re told and what people may feel. Nobody knows you better than you. 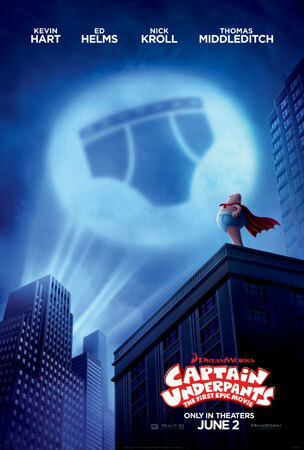 See Captain Underpants: The First Epic Movie in theaters this Friday June 2nd! 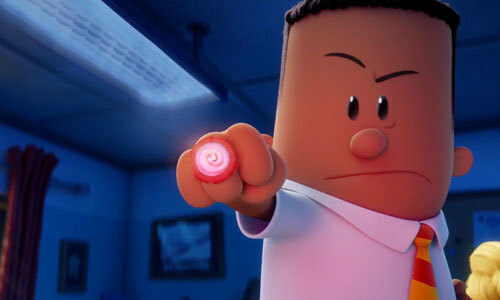 Have you followed the adventures of Captain Underpants? Are you a Kevin Hart fan? Lay down a comment!